We are very pleased to announce that the latest issue of the Devil’s Artisan, DA78, has received a Canadian Regional Design Award. The “Redgee” Awards honours the best in Canadian design. Administered by Designedge Canada, the awards shed light on the brilliant work being done by professional creative communities across the country. DA 78: Heading to Palookaville took the prize for Ontario in the Editorial category. 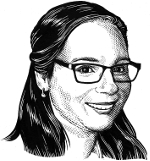 In addition to the high production values and classic design that you’ll find in all DA issues, this particular issue is packed with images of the work of Canadian graphic novelist Seth. From the handsome cover to the keepsake to the little illustrations hanging out in the margins, it is definitely a visual feast. You can learn more about the Redgee Awards here, and check out the 2016 winners here. 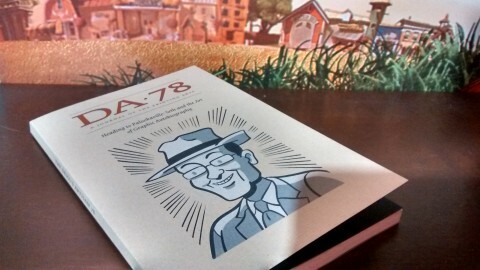 Of course, DA 78 is available for purchase, in print and digital formats, here. We couldn’t help but humbly brag about this accomplishment. It’s definitely nice when the thought and care that goes into each issue is noticed by the design community as well as our die hard fans! This entry was posted in Uncategorized and tagged awards, DA 78, Redgee Awards. Bookmark the permalink.